Letter Never Sent. Message Received. In high school I had a compulsion to figure out the meaning of the lyrics of all of my favorite pop songs. I would read and re-read liner notes with great reverence (hey – if Pearl S. Buck, Shakespeare, and George Orwell were worthy of that attention – so were Sting, Simon LeBon and Larry Blackmon). The act and ability to decipher the vaguest, most surreal lines was empowering. Wrestle the meaning and make sense of the world. So much has been written about Michael Stipe’s indecipherable lyrics, but it never mattered to me whether I could understand some (most) of the words he sang. I cared less about the meaning and more about the feeling the words, and the sound of the words, evoked. That may be the only line I’m completely certain of when I sing along. But I still ‘get’ the song. Loss. . . Regret . . . But, like so many R.E.M. songs, there’s also hope. That line from the chorus is the first of so many direct, uplifting declarations from the band (You are the everything, Everybody Hurts, No one can see you cry, Every Day is Yours to Win, You’ll be fine). Who needs a life coach when you’re an R.E.M. fan. 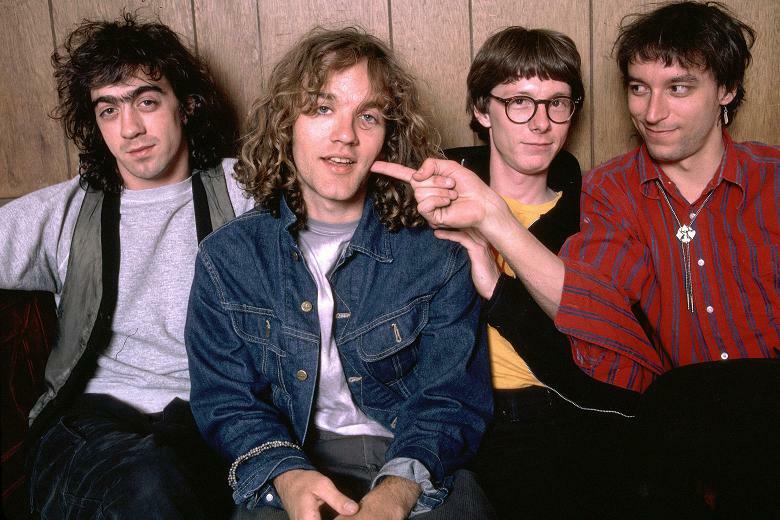 This entry was posted in Tribute, Uncategorized and tagged 1980s, 1984, Culture, Michael Stipe, Music, nostalgia, Pop Music, R.E.M., Rock, writing101 on June 10, 2014 by Sean. I remember doing a school assignment on “Bohemian Rhapsody” in high school. Is life “real” or are we “caught in a landscape” with “no escape from reality”. Jeeze! And little pieces in the music the “windchimes” when he sings “sends shivers down my spine”. It used to send shivers down my spine too.